Lisa is an upper middle-class helicopter Mom; Emma is a twenty-something with a severe case of the existential crisis blues; and Bill is an aging homeless man, from the sticks. Three strangers, separated by economic class, life experience and ideology, are thrown together by circumstance - or is it fate? - and forced into a shared experience punctuated by fear, conflict, and revelation. Set in present day, small-town Canada, where ‘nothing happens’ but in today's world, anything could. 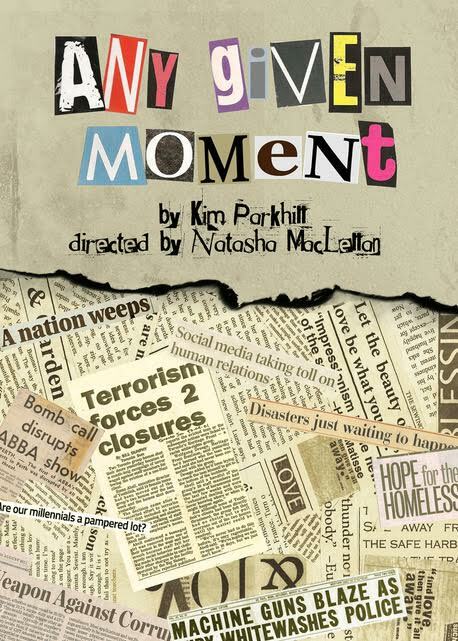 Kim’s play is an excellent example of global themes in a rural context.